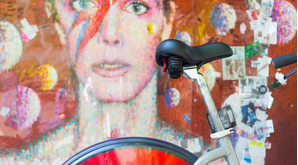 Home / Business / Comment: Will Boris Bikes price hike benefit cycle retail in London? Such a dramatic increase to the cost of cycle hire in the city will surely be the tipping point for many in search of cheaper travel? Comment: Will Boris Bikes price hike benefit cycle retail in London? 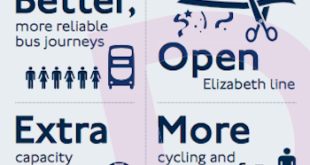 So, Transport for London has doubled the cost of hiring a Barclays bike overnight? You read that right, a 100 per cent increase in cost to anyone hiring a bike for a day, week, or by annual subscription. If I were a regular user of the cycle hire scheme, that would serve as quite a shock to the system. In effect, the cost to cycle from A to B in London just became a whole lot less competitive when compared to jumping on a tube service, or bus, both of which are semi-tempting in winter. It’s still much cheaper than a cab, mind. The cost of hiring a bicycle for a day will now rise from £1 to £2. Again, the weekly charge doubles to £10 and the annual subscription will jump from £45 to £90. The tube, bus and overground are also subject to above inflation price increases, but none anywhere near as steep. No change there, then. 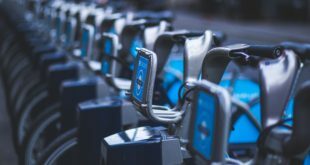 Now ask yourself – if you had been a regular user of the cycle hire until now, yet were faced with having to fork out double what you’d paid previously for the same service, would you carry on? £45 was a very reasonable figure and, in reality, so is £90 if you’re a daily user. Personally though, £90 is enough for me to ask whether the money could be better invested. Londoners who do use the cycle hire service largely do so because they acknowledge cycling is the fastest way to travel around urban areas. They’ve tried the tube, inhaled enough facefuls of armpit for one lifetime and will be dreading contemplating giving up the freedom and personal space that cycling offers. If the price hike were to fund ‘Going Dutch’ in infrastructure terms, I feel like many cyclists wouldn’t mind taking this one on the chin. In reality though, it seems like the £50 million sponsorship deal with Barclays, which runs until 2018, may not have been as good value as first anticiapted. Or perhaps the popularity of the service is outstretching supply and thus yet further expansion is needed. Obviously, this is something that has to be funded from a fast dwindling and already stretched transport budget. The price hike isn’t likely to fund meaningful infastructure shifts, as well as docking expansion. So the value for money hasn’t improved, as yet. The price of most rides lasting over half an hour has increased substantially. Expansion of the docks into South West London and beyond isn’t scheduled to be finished until 2014. Those living in and around London will surely now consider their options carefully before re-signing to the service. All things considered, public transport will remain a turn off for anyone who has cycled around London and that’s depsite some dodgy junction design. So, it’s either return to the car, walk, or purchase a bicycle of your own? And that’s where I feel there is a silver lining to this news. Tourist use of the service will suffer, that’s a given. City dwelling users, though, have an investment choice to make. £90 is no small sum for most of us. If it were me, i’d begin to look for my own bike. Bike shops of London – this is a marketing opportunity for you. Stick a poster in the window poking fun at the price hikes, show them how far £90 would go in your store. Remind the customer of the cost of running a bike compared with other transport. And make sure any message is accompanied by a shiny folding bike, or singlespeed sat proud in your window display.